People recovered quickly enough and the horses did not wander too far. They might be haunted by the memory of what the furies forced them to face, but there would be no visible scars. Elder Stow called it insidious as they started off again. They found Carthair the ghost waiting for them at the edge of the trees. “It wasn’t safe with Hades lurking about,” he said. “I’m glad you made it,” Decker was gracious, Roland less so. Roland, Boston and Decker stayed up front, even in the forest where the path was impossible to discern. Lockhart and Lincoln both expressed concern about the direction, but the ghost seemed to know where he was going so the concern was muted. After they exited the woods, they came to a field of ice. 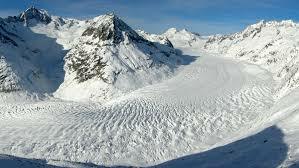 It was an impossibly large field that Lincoln eventually identified it as a glacier. The wind was wicked cold on the glacier, especially when it blew in the face. Even the horses turned their heads away. “Here, it is here,” Carthair shouted and flew ahead. Roland spurred his horse to keep up and only managed to stop in time. “Keep back!” Roland yelled and backed his horse away. It was a crevasse in the ice, thirty feet deep, that came to a point at the bottom. To fall down there would be certain death, even if you managed not to break any bones. “It is here,” Carthair said. “My body.” He wailed a frightening wail, very Dickens-like, and everyone heard. Then he began to cry. Decker did not hesitate to dismount and get his rope from the saddle. He tied the rope to his saddle horn and was ready to back slowly to the crevasse when Elder Stow interrupted. “No. let me.” Elder Stow floated out over the crevasse while he kept his eyes trained on an instrument. “I see flesh, carbon, certainly not moving. I imagine it is our ghost friend, but I suppose some animal might have wandered too close to the edge. Let us see.” He floated down into the crevasse and the travelers became concerned. The whole thing had to be unstable. They knew the break in the glacial ice could close up at any moment or the walls could crumble at a sound. “On everyone,” Lockhart spoke softly. Boston took a moment to check her amulet. The direction was north, off to their right. She could not imagine the Alpine path went over a glacier, but what did she know. “Carthair. Which way?” she asked. Boston frowned. This whole trip up the ice flow was nothing but a detour. She was ready to say something when Elder Stow and the body breached the surface and Carthair disappeared. The Elder moved immediately to Decker who was standing with the rope ready and too close to the edge. He backed up and together they tied off the body. Once Decker shortened the lead, he was ready to go. The body would float behind him. At the edge of the forest where the trees thinned out, there was room to set up tents and build a fire. 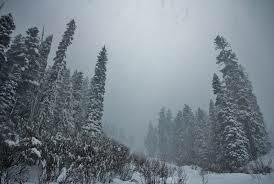 The trees would help some with the frigid wind, especially for the horses. They were worried about the horses, and were presently using their tents reshaped into horse blankets. Elder Stow got out his tent, but when he opened it, he opened it all the way, like a tarp. He set this up between several trees where it would block the worst of the wind that was blowing off the glacier above. Once the fire was roaring, Lockhart, Katie, Decker and Lincoln took a closer look at Carthair’s body. The man had taken an arrow in his stomach. They concluded he must have run up on to the glacial ice to try and escape whoever attacked him. 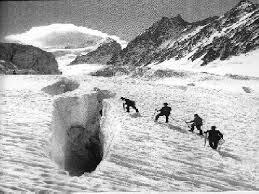 “The crevasse was likely covered with snow,” Lincoln concluded. “He probably stepped right in it.” The others nodded, but then they went back to the fire. It was too cold to do anything else. Somehow, in the middle of the night, Carthair’s body got untied and the body was stolen.